1. 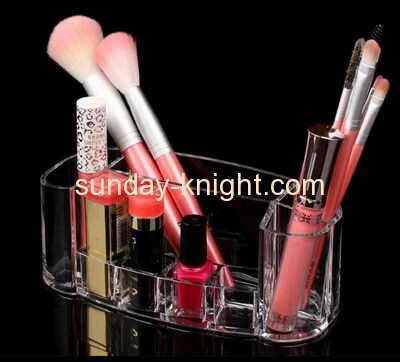 Usage: Acrylic cosmetic brush holder..
2. Specification: Size could be made according to the size of makeup organizer, OEM welcomed. Many shapes. 3. Material:High quality imported acrylic. 4. Artworks:Design,Cutting /Engraving cutting, silk screen/ laser engraving,polishing, hot bending, gluing, QC, packing,etc. 5. Features: With so many design and color,shape. 6. Discount:Discount for large order and sincerely welcome your small orders as well.